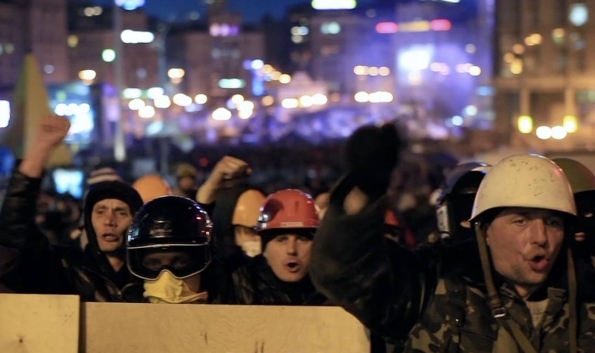 En route to Ukraine on a journey to investigate the role of gas in Russia’s expansive foreign policy, director Alex Shiriaieff unexpectedly found himself in the middle of the Euromaidan protests. While pursuing the journalistic trail of gas pipes from Russia to Europe, Shiriaeff was now at the centre of a pivotal political conflict. The emotions on the barricades in central Kiev formed a stark contrast to the cold calculations of energy super-power Russia, striving to keep a firm grip over its most important neighbor, Ukraine. This offered a new sense of urgency to the film, it offered a David vs. Goliath dimension. Or, if you wish, a Gas vs. Euromaidan dimension.